Sussex Timber Co. Is up and running! I have been working for the last 2 years to get set up. We started with a bare field and delapidated old shed and the idea of making a proper old style timber yard. To date we have put in the road ways and a car park area, built a huge barn to keep all the wood nice and dry. Oh and stock piled enough wood to keep most fires in the area going this winter. We sell seasoned hardwood logs, kindling, charcoal, sawn timber and woodland mulch. All of our timber products can be sawn to the exact specification that you need and we’re here for advice on any projects you have. 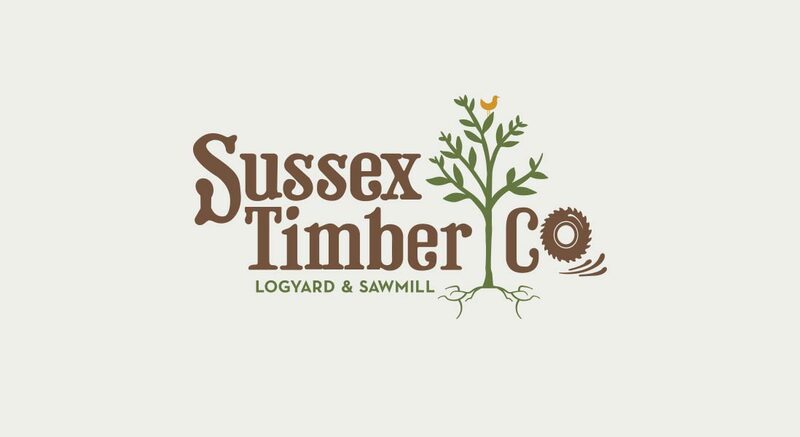 We look forward to seeing you soon at Sussex Timber Co log yard and sawmill and will soon be open 6 days a week, so watch this space. At the moment if you ring us we will be glad to help with anything you need. We deliver to your door or you can collect from us. We’d love for you to come and check out how it’s all done at our yard near Wiston too and have a brew.